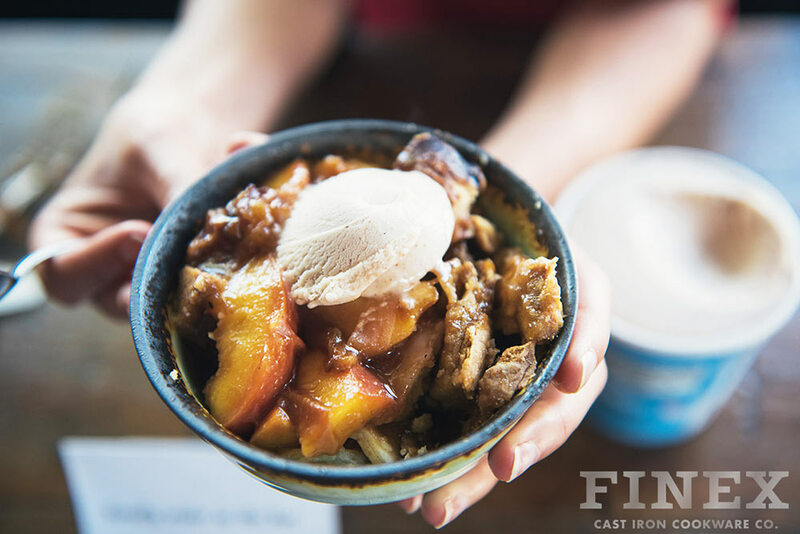 Peach Pie Cast Iron Skillet Recipe | FINEX Cast Iron Cookware Co.
Every year we anxiously await peach season here in Oregon. 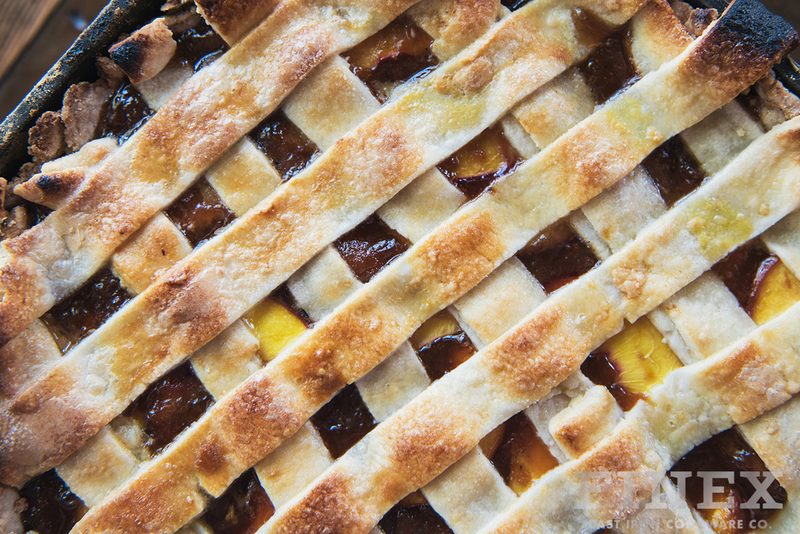 This year we celebrated its return by whipping up this delicious peach pie with FINEX guest chef Wes Sixeas. We topped it off with our favorite vanilla ice cream. Combine water, salt, and sugar in measuring cup. Stir and place cup in fridge for at least 15 min. (to chill water and to dissolve sugar and salt.) If possible, chill mixing bowl and paddle attachment if possible. Next combine flour and butter pieces in mixing bowl. Pour the water into the butter mixture and mix until the dough comes together. Separate the dough into 2 disks. Wrap each with film and chill. 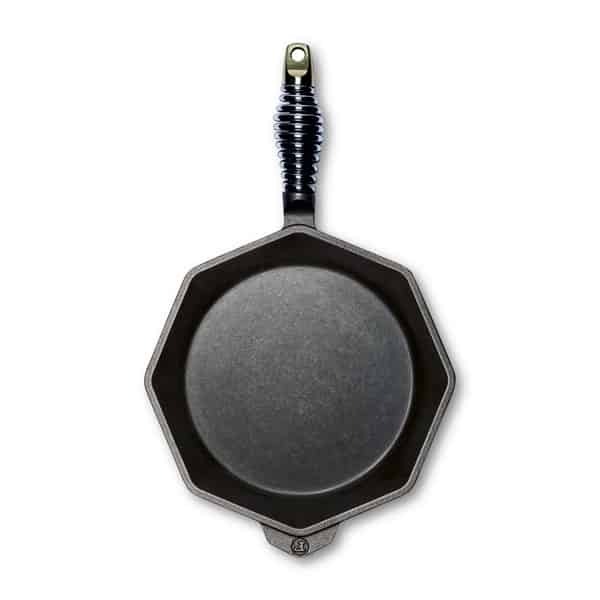 Roll 1 disk of the chilled pastry dish out to fit a 8-inch cast iron pan. Reserve the other disk for lattice top. Prick all over dough with a fork. Blind bake on 375F for 10-15 minutes, or until it is lightly golden. Set aside to cool and reduce heat to 350F. In a skillet over medium heat add butter. Add remaining filling ingredients and cook for 6-8 minutes. Once thickened pour filling into the pie crust. Roll out the other disk out to 1/8-inch thick, and cut into 1/2-inch wide pieces at least as long as as the width of the pie. Lay the strips across the pie. 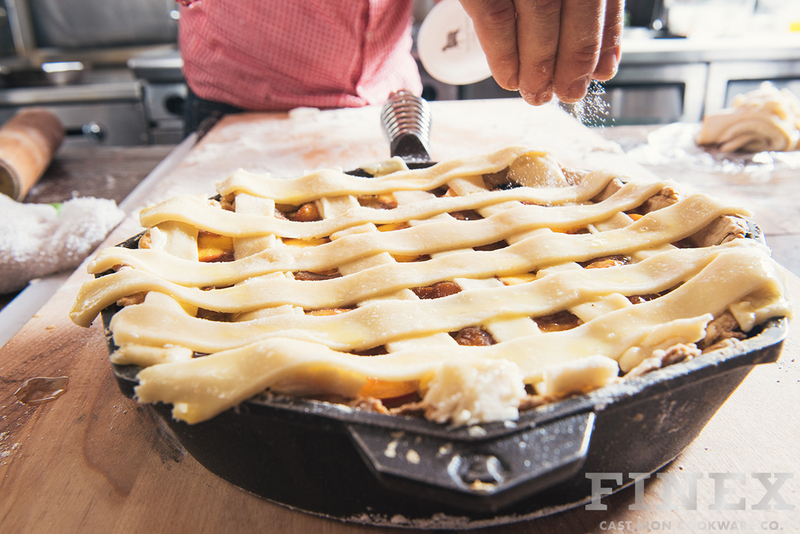 Bake pie for 30 minutes or until golden brown and bubbling.